This block printing essentials kit includes everything you need to begin your first steps into relief printing. 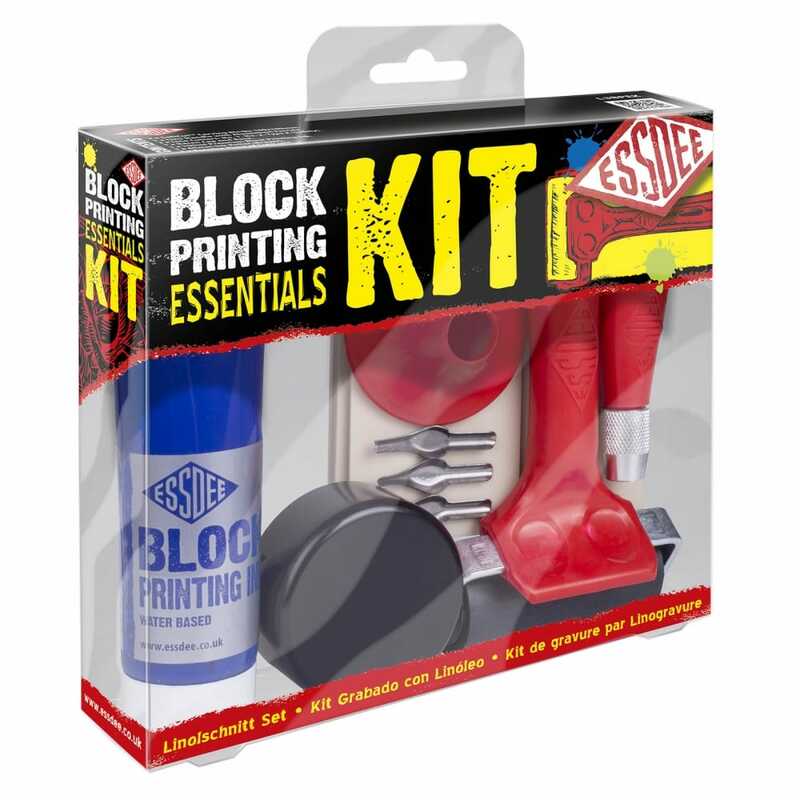 This kit provides the essential tools and materials that you need to create your own prints, including easy-to-carve Soft-Cut carving blocks and our innovative safety cutter which are both ideal for beginners. This fun and educational kit is ideal for making unique and creative projects, perfect for creative cards, posters, stamps and art work. Kit Contains: 65mm ink roller (Brayer), 100ml high quality block printing ink, two sheets of Soft-cut (100cm), 1 practice piece, 3 styles of lino cutters (Lino Styles) and Lino cutting handle with aluminium ferrule baren complete with storage in the base.